– Ever heard of the "11:11 Phenomenon"? Well the idea is to take a moment to meditate at 11:11 every day. More info can be found on Uri Geller's web site. Well it was quite a week with the historic election of Barack Obama as our 44th President, which of course was the dominant news story. Here are some of the latest news updates that are noteworthy for the first week of November. 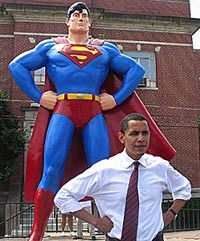 Barack Obama: Super Hero or Nero? 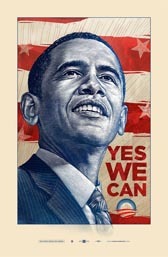 • What does the victory of Barack Obama mean for the future of our country and, for that matter, the hope for mankind? We offer a positive perspective, despite the fact that many feel that Obama does not appear to have been the most ideal candidate for President in the 2008 race. This perspective appears in our blog section in a post entitled, "The Wicked Witch Is Dead! Long Live the Munchkins!" You may find this piece inspiring and uplifting. • Further indications of the positive outlook for America with Obama's victory comes from the most recent David Wilcock audio blog, which is the second part in his continuing series entitled, "2012 Politics." This audio recording, which is Part 2 in this series, was released on October 29th, and came approximately a week after "2012 Politics: Part 1 of 1!," which appeared on October 23rd. This audio recording is very, very inspiring and comes with our highest recommendation! "They (the Neo-Cons and the New World Order) have lost the edge. You are watching them fall apart right now. This is what's happening. Let go of the sense that these guys are so big and bad and powerful and so menacing. You (and they) are at the end of the road," he said. "It is an extremely positive shift that we are having on the planet," he added. 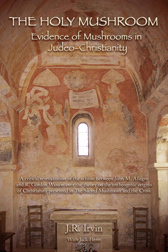 Read our review of this latest David Wilcock audio blog, as well as, our comments on Part 1, all to be found in our Wilcock audio section. • David Wilcock also posted his very enthusiastic thoughts on Obama's victory immediately after the election results were official on the evening of November 5th in a piece entitled, "An Epic Synchronicity in World History!" "Obama’s Presidential victory represents a watershed moment in human history on many levels," he wrote. This article, though rather lengthy, is worth reading for his preliminary analysis on the election. David is due to make another radio appearance this month where it is highly likely he will discuss in greater detail Obama's Presidency. • During our October 28th conference call we were fortunate to have author, researcher and lecturer Jan Irvin as our special guest. Jan discussed his upcoming book, "The Holy Mushroom," which has now been officially released this past week and is available in our Miracles and Inspiration book store. More information on Jan Irvin can be found in our Pineal Gland section, as well as, the conference call notes from the October 28th program.